Neil deGrasse Tyson sits down with Andy Weir – best-selling author of The Martian – to discuss Andy’s new book, Artemis. Artemis follows a daring heroine in an “irresistible new near-future thriller – a heist story set on the Moon.” Neil and Andy chat in-depth about Artemis (no major spoilers revealed) and the creative process behind its making. To start, Andy explains why he wanted a city on the Moon in the first place, how he used tourism to justify there being a city there, and how much it would cost to get to the Moon in the near-future based on the current plans of the commercial space industry. You’ll hear about Lunar Cyclers, and the transportation methods Andy used to get humans to the lunar surface. Discover what people eat in this lunar city, what energy source would power the habitat “bubbles,” how residents and tourists adapt to 1/6th gravity of the Earth, and the importance of anorthite. Andy explains why the city’s governance works like an 1800s-frontier town, the currency used in the novel, and why he chose Kenya as the global center for the space industry. Andy also tells us why he deems himself a “gentlemen scientist” and why Artemis is more scientifically accurate than The Martian. All that, plus, Neil gets astronomical to see if Andy really thought of everything, our pair geek out over classic Star Trek inaccuracies, Andy shares details about the film adaptation, and much, much more! Special thanks to Audible for making this bonus episode possible. 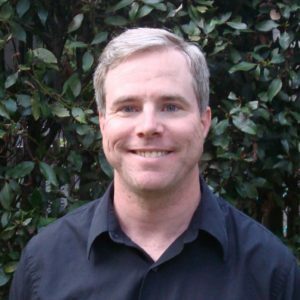 NOTE: All-Access subscribers can watch or listen to this entire episode commercial-free here: A Conversation with Andy Weir – Special Bonus Episode.